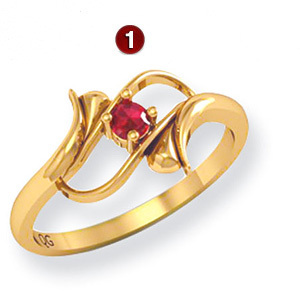 The 14kt yellow gold Family Flourish ring is set with one genuine 2.75mm round gemstone of your choice. Gold content weighs 3.5 grams. Made in USA.